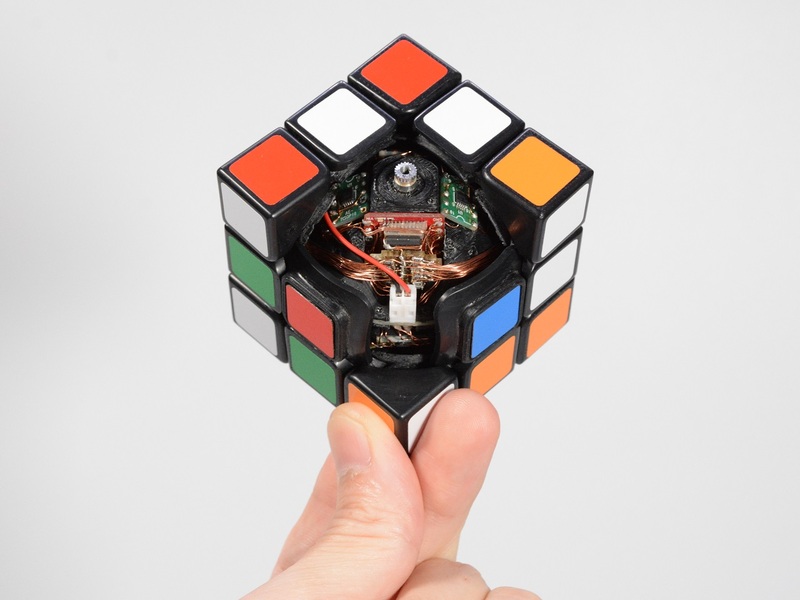 It looks like any other Rubik's cube, but for the little mechanical squeaks it makes as he scrambles it. He puts it down on the table and watches it in silence for a while. Then it moves.